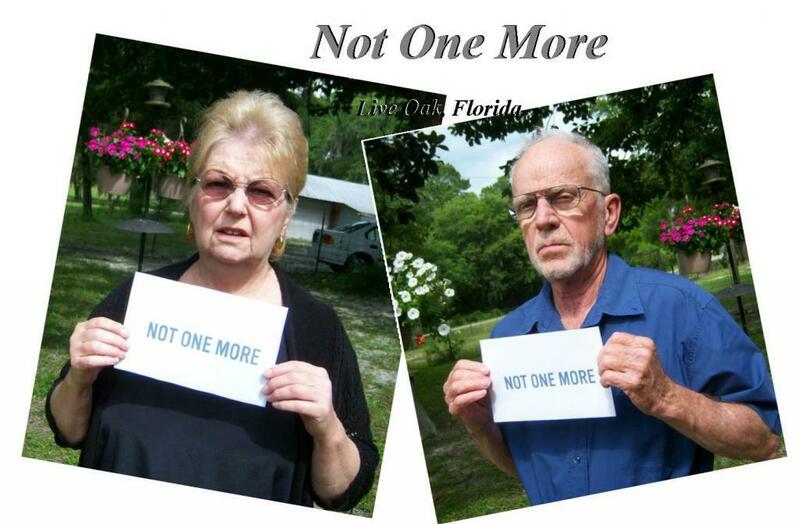 Note: Below is a webpage I made after a father lost his son to a shooting spree devastating him to the point of starting a movement #notonemore. That was in 2014 and nothing was changed by the legislators who are indebted to the NRA. My husband and I took a picture of one another holding the sign NOT ONE MORE. I thought that perhaps this window into reality would surely change something but I was wrong. AGAIN! During a press conference on Saturday afternoon, the father of one of the victims killed in Friday evening's UCSB shooting spree railed against politicians, the National Rifle Association, and the general "madness" that he believes led to the killing of his son. Speaking about his 20-year-old deceased son, Richard Martinez told the press: "Our son Chris Martinez and six others are dead. Our family has a message for every parent out there: You don't think it will happen to your child until it does." After explaining how beloved his son was, and how hurtful his loss is for the family, Martinez took aim at those he believes should be held responsible for the mass shooting: Why did Chris die? Chris died because of craven, irresponsible politicians and the NRA. They talk about gun rights. What about Chris's right to live? When will this insanity stop? When will enough people say, "Stop this madness!" Too many have died. We should say to ourselves, "Not one more!" Chris Martinez was one of seven people (including the perpetrator) killed in a series of shootings on Friday evening in Isla Vista, California. The suspect, Elliot Rodger, was found dead in his vehicle after a brief police chase.